This Mother’s Day, honor mom with a handmade Teleflora bouquet that’s beautiful and radiant – just like her! The way we can never get up on time, how we want things “just right,” the career paths we take, how we’re the strongest when we feel the weakest. We hear, “You’re just like your mother” throughout our lives…but in the end, we’re thankful that we are…and that’s a beautiful thing. This Mother’s Day, say “thank you” to mom and celebrate everything that makes her so special with a Teleflora bouquet! Honoring moms everywhere this Mother’s Day, the video ad celebrates everything that makes mom so special, and commemorates our connection to her by illuminating all of the inimitable ways that we are “Just Like Her.” And that’s a beautiful thing. Teleflora’s “Just Like Her” video ad gives us a moment to thank mom for her strength, determination, courage, perseverance, and infinite love that inspires us every day through life’s best and most challenging moments. Throughout the days leading up to Mother’s Day (May 14, 2017), moms, sons and daughters everywhere are encouraged to share their personal reflections about their mom at #ImJustLikeHer. “Just Like Her,” Teleflora’s handmade bouquets are made with love and are the perfect way to commemorate all those unique similarities you share with mom! 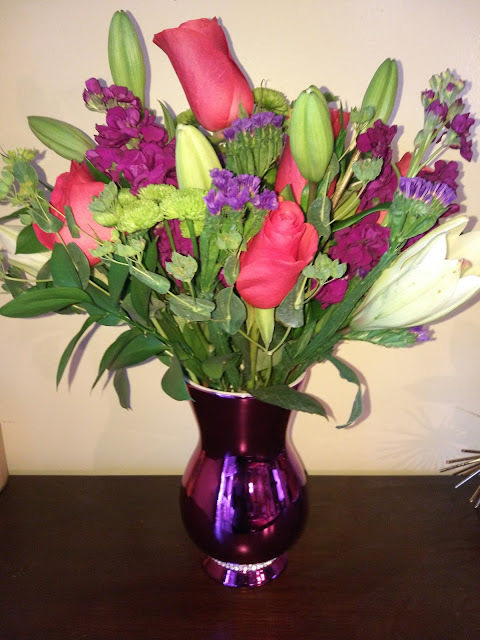 I am lovin' my beautiful Mother's Day bouquet - Teleflora’s Sparkle and Shine Bouquet (Available on Teleflora.com for $59.95)! The colors are so bright and happy and the bracelet included is gorgeous! 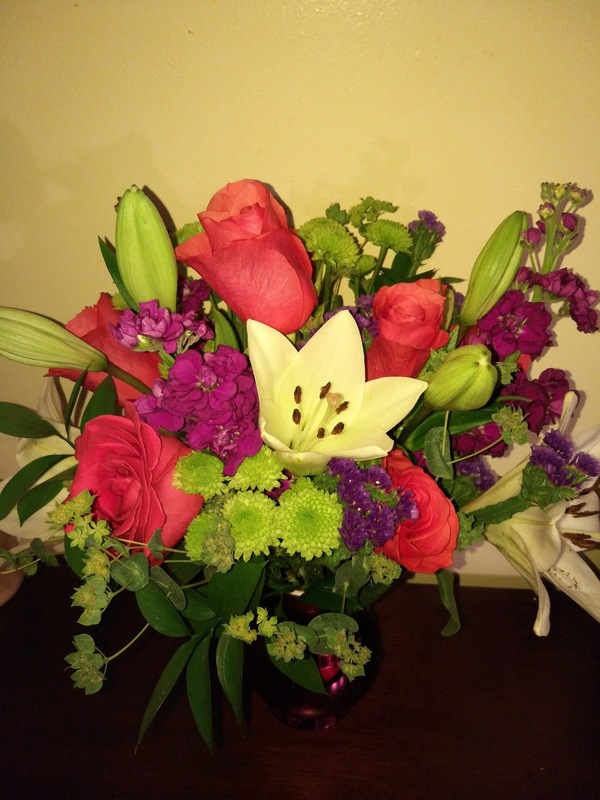 I am happy every time I look at this beautiful bouquet! Chic and modern, just like mom. This show-stopping bouquet is a perfect reflection of her effervescent beauty; inside and out. 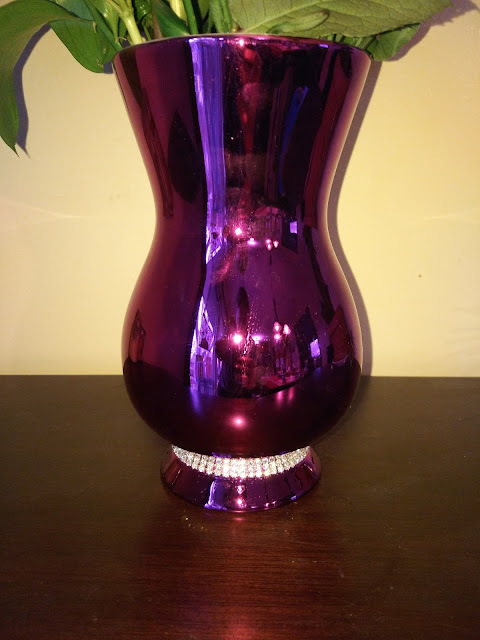 Gorgeous pink roses, fragrant white Asiatic lilies and lavender look oh-so-lovely in this one-of-a-kind purple metallic glazed vase with sparkling rhinestones that is sure to dazzle her. If your mom is as hardworking, beautiful inside and out and loving as my mom, then she deserves a bouquet as beautiful as this one! Show your love this Mother's Day with Teleflora!